Two wheels, several compartments and dedicated pockets to organize your kit. This is the Ellsworth Luggage Trolley, specifically designed for the traveling cyclist who demands more from a travel bag. When you travel to ride you want to make sure that all your belongings are stored and organized in a safe place. Ellsworth always thinks about it’s customers requirements and designed a trolley for you that combines easy-to-use features and flexibility. 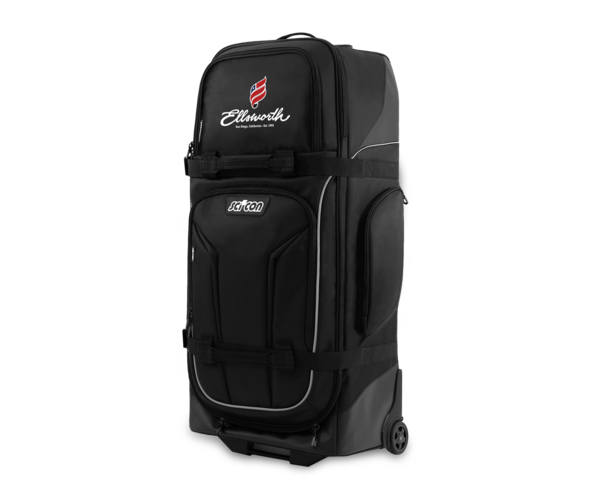 The Ellsworth Luggage Trolley is the perfect trolley to store all your cycling gear without compromising in space and without risking to ruin any of it.